A year after introducing 15 ‘greener’ double-decker buses to its fleet, Lothian Buses today September 11 confirmed the state-of-the-art hybrid buses have saved over 600 Tonnes in CO2 emissions and an estimated £200k in running costs. The 15 hybrid buses were introduced to the capital after an investment of £5 million, which included £1 million from the Scottish Government’s Green Bus Fund. 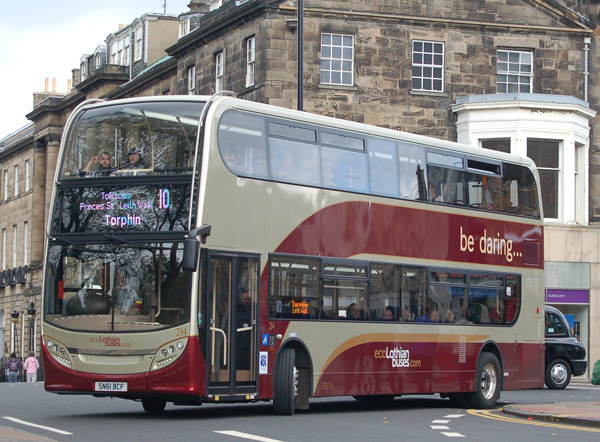 Over 40% of Lothian Buses’ fleet now deliver at least the current minimum emission standards, including the 15 Enviro 400 hybrid double-decker electric-diesel buses that serve the Service 10 route from Western Harbour to Torphin. 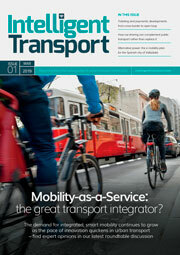 The award winning bus operator plans to continue to set the standard for greener public transport in Scotland. A further ten hybrid buses will likely be introduced to the fleet in early 2013. The hybrid buses are manufactured by Falkirk-based bus and coach builders, Alexander Dennis Limited. Ian Craig, Managing Director of Lothian Buses, said: “As a company we are always looking for ways to offer greener and more sustainable travel. We are pleased to mark the first anniversary of the first 15 hybrid buses underlining our continued commitment and investment to combat air pollution and to offer our passengers a low-carbon public transport option. 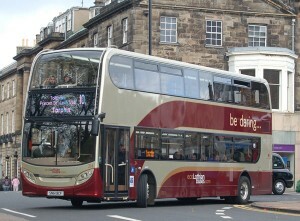 For more information please visit www.lothianbuses.com.